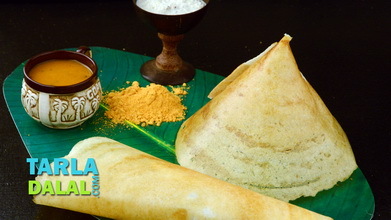 Malgai Podi is also fondly called gun powder, which makes it obvious just how fiery it tastes! 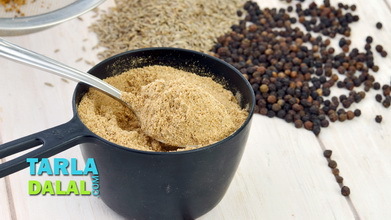 The spiciness of red chillies combined with the aroma and rich taste of roasted dals and asafoetida makes this South Indian spice powder a really tongue tickling treat. 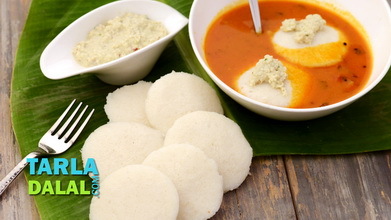 Malgapodi is mixed with til oil or ghee and enjoyed like a chutney with idli and dosa . 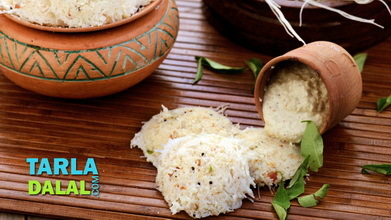 It can also be sprinkled on Uttapa to give it a special taste and hue. 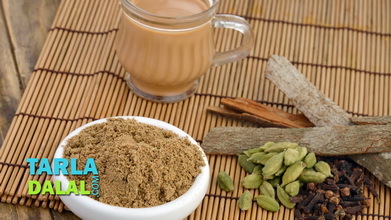 While making Malgapodi Powder, make sure you roast the ingredients separately as mentioned in the recipe, to ensure uniform roasting without charring. 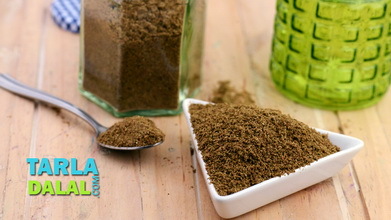 You can store this powder in an air-tight jar for a month or even more, and serve it as and when required. 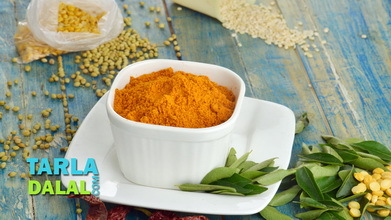 Heat a broad non-stick pan till hot, add the urad dal and dry roast on a medium flame for 2 to 3 minutes or till it turns light brown in colour. Remove on a flat plate, spread it evenly and keep aside to cool. 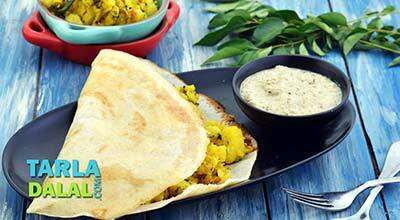 Add the chana dal in the same pan and dry dry roast on a medium flame for 2 minutes or till it turns light brown in colour. Remove in the same flat plate, spread it evenly and keep aside to cool. Add the red chillies in the same pan and dry roast it for 30 seconds. Add the curry leaves to it and dry roast on a medium flame for 1 minute. 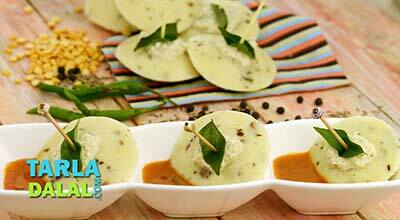 Remove the red chillies and curry leaves in the same flat plate, spread it evenly and keep this mixture aside to cool for 15 to 20 minutes. 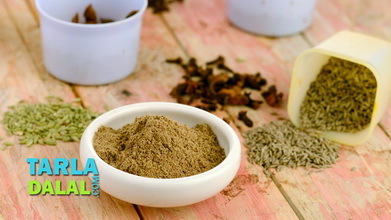 Add the asafoetida and salt and blend in a mixer to a slightly coarse powder.